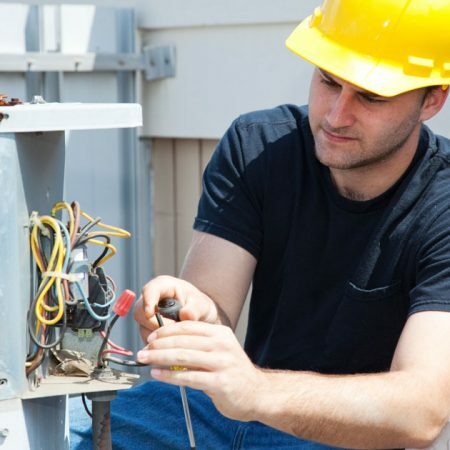 Electricians Brighton » Heating Systems » What Is the Best Heating System for Homes? If your home is connected to the national gas grid, the best heating system for your home will be a gas-run central heating system. Your home should be able to fit with the type of heating system you choose. Electrical heating systems are often the most efficient heating systems, although mains gas heating systems are more cost effective. Below are some common heating systems that you can choose from. You can heat up your home with boilers and radiant heating systems without circulating allergens, because they transfer heat through the house without using air ducts. Boilers make use of natural gas, propane, or electricity to heat up water and move the heat through a radiant heating system in the walls, floors, or ceilings. Radiant heating systems take up less space than duct systems. They are also energy efficient and produce non-allergenic heat. Installing boilers will mean that you need to install an air conditioning system separately. Boilers are also more expensive than other heating systems. They are also often difficult to service since not all technicians can handle them. Furnaces are typically referred to as “forced-air” heating systems. Unlike boilers, furnaces use a duct system to blow heated air through the home. They run on natural gas, electricity, or oil, as the most common energy source, although other types of fuel can also be used. The cost of using a furnace varies depending on electricity bills, energy costs, and fuel rates. A professional can retrofit your unit to make it more energy efficient if the furnace is still in good shape. Can be used to air condition the house during warmer periods, they are widely available, and can be retrofitted to purify the air in your home. Can spread allergens through the house and alsouses a duct system, unlike boilers. Homes can save considerably on energy costs with heat pumps. They work by transferring heat from outside sources like the ground, air, and even water bodies into the home. They use refrigerants to absorb the heat to be transferred. The most common types of heat pumps absorb thermal energy from the ground or ambient air. Heat pumps can also be used to cool the home by reversing the heat exchange. When fitted with an add-on known as a desuperheater, it can transfer excess heat to a hot water tank. It is highly energy efficient and can be used all year round to heat and cool the house. Ground source heat pumps often come with high installation costs and, depending on the extent and type of land in the premises, can experience a reduction in energy efficiency. Also, when used below an ambient temperature of 32 degrees it can become inefficient. In extreme temperatures, heat pumps can get strained. Having seen the characteristics, advantages, and disadvantages of the common home heating systems, you should evaluate and decide what it is you want out of a heater to be able to make an effective choice. Perth based air conditioning company GMTair state that other types of heating systems such as ducted reverse cycle air conditioning systems are more suited to warmer climates such as Australia. You should also check what is in your budget.